Hortulus Garden Center looks like your standard summertime pop-up garden center, housed under a large tent in a parking lot just off bustling Southfield Road in Lathrup Village. But when the business opened this summer, it meant quite a lot to its small community. Hortulus has some rather uncommon offerings for a business of its type; you can buy pineapple and pomegranate plants, or take a class in creating a fairy garden. ("It's technically a pop-up shop, but it's like a pop-up extravaganza," says Lathrup Village city administrator Sheryl Mitchell.) But more importantly for Lathrup Village, Hortulus is the first business of its kind in the community's history, and it's having the unique effect of getting commuters on Southfield to slow down below 45 mph and spend some time in the village. 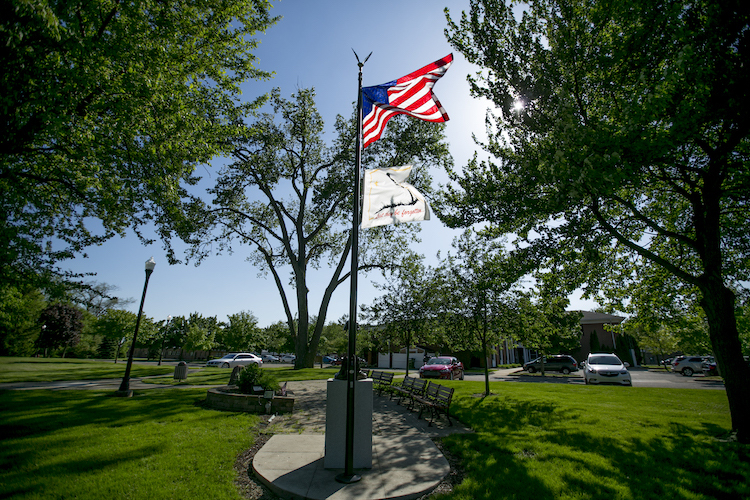 Like many Metro Detroit communities, Lathrup Village is working hard to develop destination businesses, new developments, and a walkable downtown that's attractive to residents and visitors. But for the tiny 1.5-square-mile community surrounded by the city of Southfield, the milestones in that journey can be simple ones. Hortulus also represents a revitalization of the long-vacant Annie Lathrup School, which has been targeted for redevelopment for several years and whose parking lot Hortulus occupies. "Really, nothing has happened (on the school site) in quite a long time," says Lathrup Village Downtown Development Authority director Ken Marten. "So to get this space activated ... for that amount of time, it's very exciting for us." Lathrup Village residents aren't shy about waxing poetic on the merits of their city. 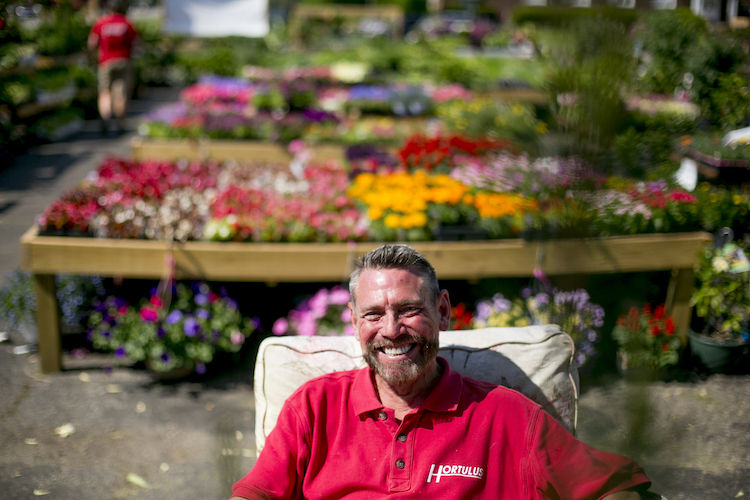 Hortulus owner and Lathrup Village resident Ed Blondin, who also owns the landscaping business Hortulus Gardens, says he loves the extremely tight-knit nature of his community. He can see his garden center from the driveway of his home. He knows his neighbors well, and he knows kids who both live and have jobs in the city. "It's just really cool to have that sort of Norman Rockwell thing going on right in the middle of what's really a huge town of Southfield," Blondin says. "That's what I love about living here. There's really this great sense of community that transcends race or gender or orientation or any of that. It's amazing. 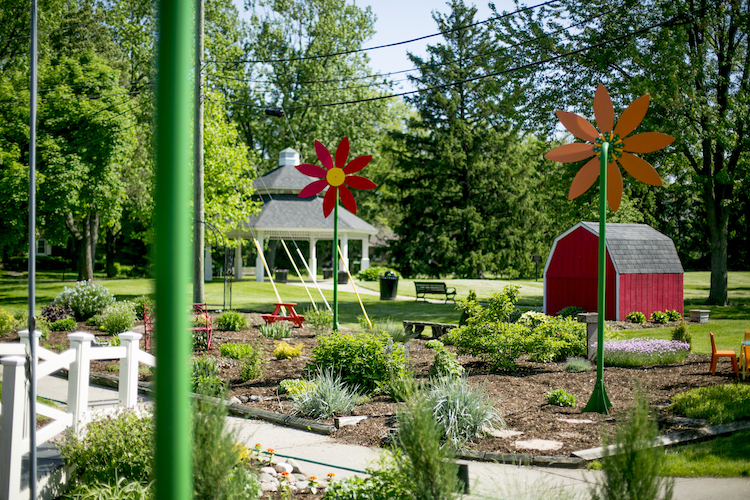 It's actually Oakland County's best-kept secret." The city boasts a number of distinctly small-town charms. City hall features a well-used community center, a ballet studio, and a colorful children's garden. Summer brings both concerts in the park and a strolling music festival that takes place in residents' yards and garages. And the village has a time bank that allows members to offer or request assistance with a variety of tasks. Lathrup Village mayor Kelly Garrett recalls riding her bike through the city while she was growing up in Southfield, hoping to one day buy a house in the community. As an adult she made that dream come true; she's now lived in the city for 11 years. She says it's an interesting community in that she and some other residents "want change, but you want it to stay the same." Garrett says the latter instinct has won out in the community for a long time, but she's been trying to embrace the former approach in her governmental role. "At least to me, we drug our feet on a lot of things," she says. "I see now that we're actually doing things. There's no more planning. We're actually implementing things." Among those new developments is the recent progress on a long-delayed townhome community on 11 Mile Road at Lathrup's eastern edge. Foundations have now been laid for the 22-unit development – a major step forward in Marten's book. "It's been talked about and planned since I started working here, which was two and a half years ago," Marten says. "So there's been a few delays. But finally they're getting shovels in the ground." Another major development for the city is the ongoing expansion of Michigan First Credit Union's offices at 11 Mile and Evergreen. The sleek, dramatic glass-walled expansion broke ground last year and is set to be completed this summer. "It's doubling its size, doubling its campus, and the whole institution is going to be on one campus," Marten says. "That's real progress." There are also smaller developments in Lathrup, like the recent arrival of new independent businesses such as Eddie Smoke's BBQ and Angeles Fashion. Marten says he hopes to keep new development flowing into the village through "a lot of hard work and phone-calling and communication." "I see it as a city on the move," he says. That term works to describe Marten's vision for Lathrup Village, but it also aptly characterizes the way high-speed, high-volume traffic currently tends to pass unhindered through the community along Southfield Road. The road is in some ways a boon to Lathrup; Mitchell says it makes the community "core in terms of communication, connection, and commuters for Oakland County." But in other ways, the road is a major detriment to the community. Garrett notes that if drivers time stoplights correctly, they could "fly through (Lathrup Village) at high speeds." "A lot of people don't know where they are when they're here," she says. She'd like to change that to make the community "a little, quiet town where you can walk from building to building." Marten envisions a reconstruction of Southfield Road that would include a median and more crosswalks and traffic lights, emulating pedestrian-friendly intersections like Nine Mile and Woodward in Ferndale. However, such a project would be the decision of the Road Commission for Oakland County. "The joke has been that for the last 10 years, reconstruction is 10 years away," Marten says. "And they've been saying it for 10 years." Lathrup Village government officials continue to lobby the road commission for a Southfield Road redo, but in the meantime they're doing what they can to put the city on the map for the multitudes who pass through it daily. They've got the full support of residents like Blondin, who says he hopes for Lathrup to be more widely recognized as "one of Michigan's cool cities." "We have the bones already," Blondin says. "It's pretty stunning. And we miss it because that road is going too quickly."